With 2012 almost upon us we start to wonder if we will see Dolphin 8 in 2012. This will be a tough one. I am sure many people would like to see it happen including Boonex. 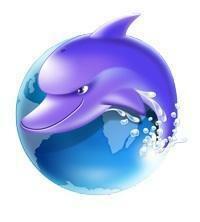 But, if you recall the release process we had to deal with for Dolphin 7.0.x it will be tough for them to accomplish. I can't even recall all the Dolphin 7 Alphas, Betas, and RC versions we had. I do know there were a lot of them. If you count the current Dolphin 7.0.8 version that makes 9 stable releases alone, not to mention there is a Dolphin 7.0.9 mentioned in Boonex Trac. Add them all up and what does it equal? Way to many to deal with and remember! If Boonex follows a similar path for Dolphin 8 with a bunch of Alphas, Betas, and RCs again I don't even know if it can be done next year (2012) or not. All I am hoping for is that they change the way things are done in Dolphin 8. I find Dolphin 7 to be very confusing for the average end user/member to navigate and understand. If they would just make it a little simpler for people that would actually be joining a Dolphin based site it would be much easier to keep people around. There are plenty of other things I would like to see changed, improved, and some even retired or done away with in Dolphin 8. I doubt I will see what I am hoping for, but hopefully I see at least a few positive changes. Obviously we won't know for quite some time yet. I can only hope, dream, and keep my fingers crossed. Until then we will all just have to make Dolphin 7 work.